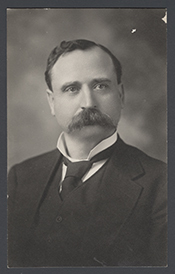 SLOAN, Charles Henry, a Representative from Nebraska; born in Monticello, Jones County, Iowa, May 2, 1863; attended the public schools and was graduated from the Iowa State Agricultural College at Ames in 1884; moved to Fairmont, Nebr., the same year; superintendent of the city schools 1884-1887; studied law; was admitted to the bar in 1887 and commenced practice in Fairmont; moved to Geneva, Fillmore County, in 1891 and continued the practice of law; director of the Geneva State Bank; prosecuting attorney of Fillmore County 1890-1894; member of the State senate 1894-1896; chairman of the Republican State convention in 1903; elected as a Republican to the Sixty-second and to the three succeeding Congresses (March 4, 1911-March 3, 1919); did not seek renomination in 1918; elected to the Seventy-first Congress (March 4, 1929-March 3, 1931); unsuccessful for reelection in 1930 to the Seventy-second Congress; resumed the practice of law in Geneva, Nebr., and also engaged in banking; died in Geneva, Nebr., on June 2, 1946; interment in Geneva Cemetery. Papers: In the Edwin Bliss Hill Papers, ca. 1737-1954, 2,557 pieces. Correspondents include Charles Henry Sloan. Sloan, Charles H. Biography of Frank W. Sloan, banker, lawyer, business diplomat and philanthropist. Lincoln, Neb. : State Journal Printing Company, 1937.